Come enjoy our beautiful desert location! Red Roof Victorville is just minutes from the San Bernardino Fairgrounds, Route 66 Museum, and Mohave Narrows Park. Calico Ghost Town and Victor Valley College are also nearby. For skiers and snowboarders, Big Bear Lake and Wrightwood Ski Resort are just 45 minutes away! 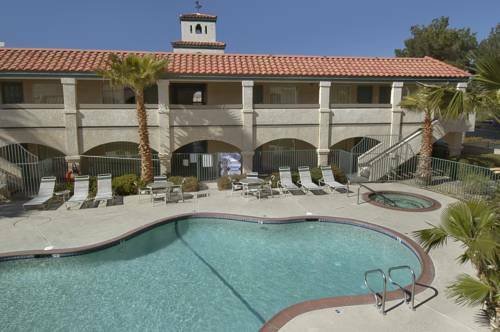 The hotel is a short drive from Southern California Logistics Airport, Mojave Narrows Park, Calico Ghost Town, Auto Club Speedway, Maverick Stadium, Big Bear Lake, Wrightwood Ski Resort and the Mall of Victorville and many stores and restaurants.